The Clinic was founded by Dr Norman Miler, who was a native of Hutchinson, Kansas. He married in 1970 to Carolyn and with their mutual interest in the Chiropractic field, he pursued their Chiropractic dreams. He graduated from National College of Chiropractic in 1976 and set up practice in 1977 in Middlebury. Our faithful patients have become a part of our Chiropractic family, and they value our staff members who have been part of their healthcare for over 40 years. 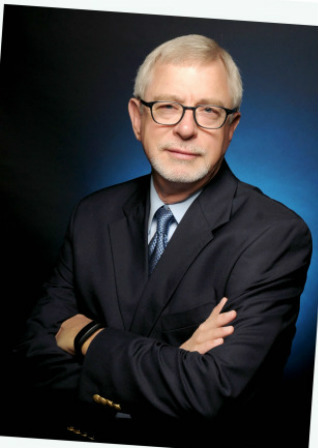 Dr Miller has treated his patients with holistic care since the beginning of his practice. He added the ProAdjuster Computerized Adjusting when it became available. When a patient has severe low back issues, he refers them to our Decompression Therapy department. When a patient's back does not get better, he tries alternative practices such as foot orthotics, physical therapy, food sensitivity testing, nutritional analysis, hair analysis, laboratory testing, BioMeridian Stress testing, Adrenal Saliva testing, Hair Mineral Testing, Muscle massage, etc. From the beginning he has used Physical Exams and X-rays as part of his diagnostic testing. More recently, he has added state of the art, Digital X-ray Equipment as well as Computerized Food Orthotics. Dr Miller was trained in Kinesiology Testing, ProAdjuster Therapy, BioMeridian Stress Testing and in Nutrition Response Testing.